The training ship Georg Stage was built in 1934 at Frederikshavn Shipyard and floating dock. 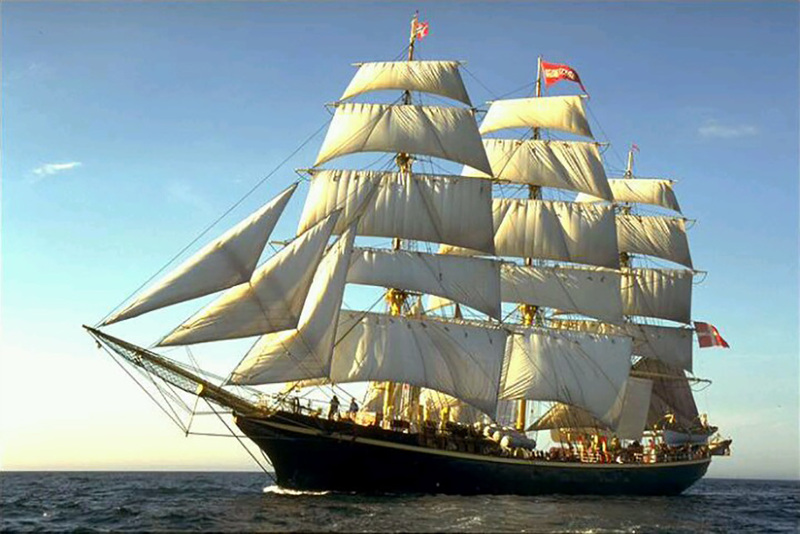 It is a fully rigged vessel with a permanent crew of 10 and 63 trainees. 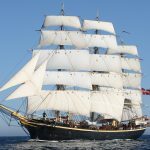 The training ship belongs to the independent institution The Georg Stage Memorial Foundation, whose aim is: ‘To give young people wishing to go to sea, their first lesson in practical seamanship aboard a purpose-built training ship’. 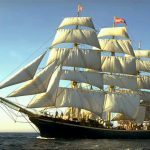 The training ship Georg Stage is run in accordance with this policy to this very day. Since 1981, females have been accepted as well as males. After five months at sea, the trainees can immediately take up a position in the merchant navy, with all acquired qualifications in accordance with STCW-95. The history of Georg Stage goes back some 125 years. 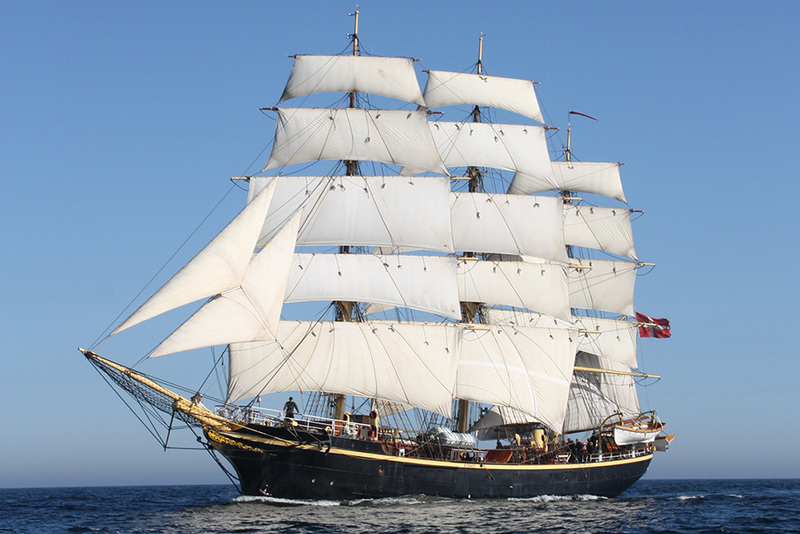 The first ship sailing under this name – a slightly smaller fully rigged vessel, was launched in 1882 in Copenhagen. On the 25 May in the same year, the ship started her maiden voyage with 80 trainees on board. The ship was equipped and financed by the shipowner, Frederik Stage, and his wife Thea, in memory of their son, Georg, who died of tuberculosis at the age of 22. The original figurehead portraying the young Georg Stage was transferred from the old ship (now “Joseph Conrad” in Mystic, CT) to the present one. “Georg Stage” was among the few that took part in the races of both 1956 and The 50th Anniversary Tall Ships’ Races in 2006 (and many others in between). The foundation claims to be the oldest active training institution of its kind in the world.